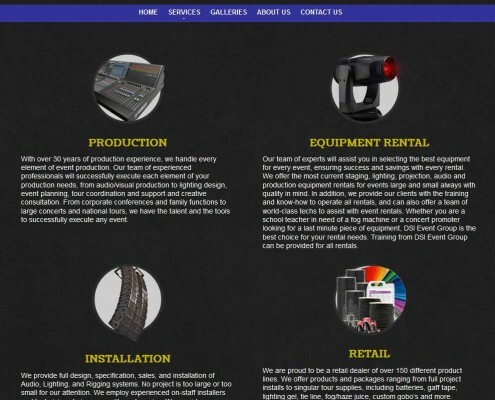 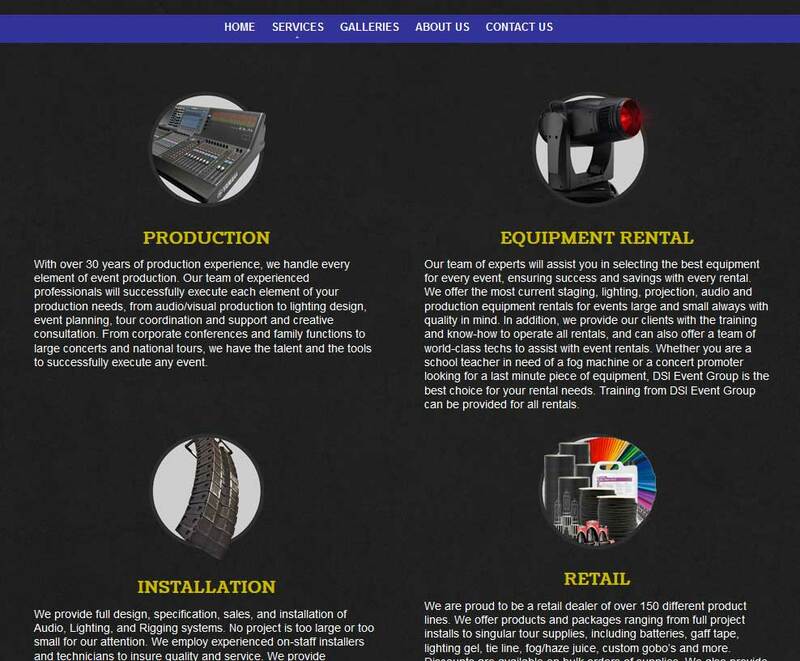 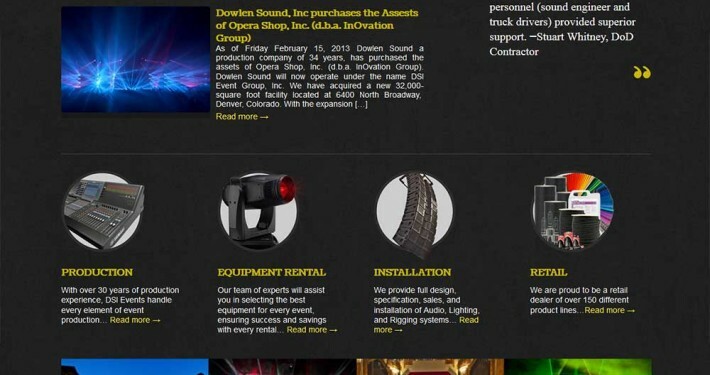 DSI Event Group formerly known as Dowlen Sound Inc is a Denver-based production company with over 30 years’ experience in event production. 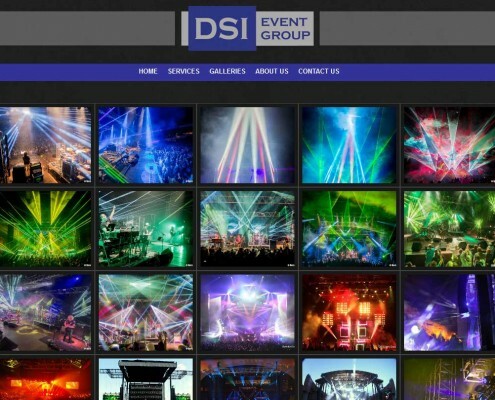 DSI offers high-quality, reliable audio production, lighting, video, staging, design, event coordination, equipment rentals, touring, installations, event consultation and retail sales. 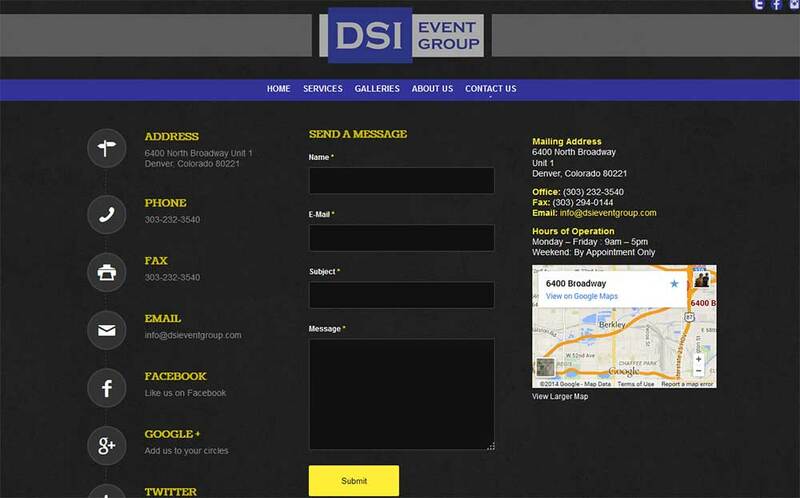 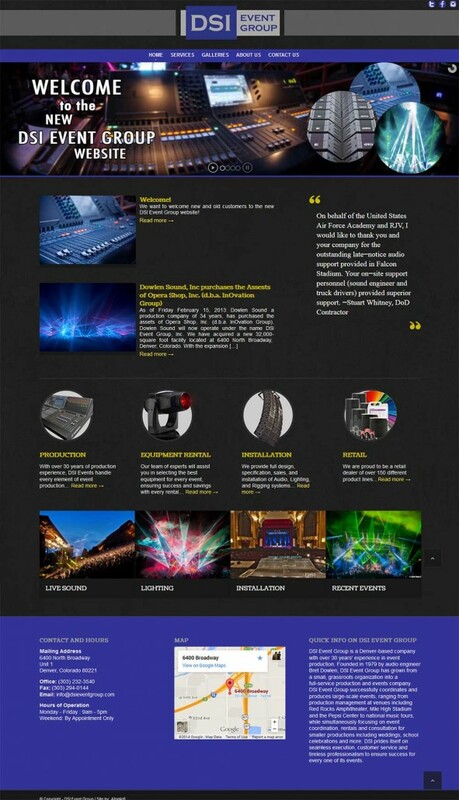 Today DSI is a continually-growing national company with a diverse selection of high-quality equipment enabling us to produce hundreds of shows each year, tour with national acts, service numerous rooms and theaters regionally, and supply the Denver area and Rocky Mountain region with equipment throughout the year. 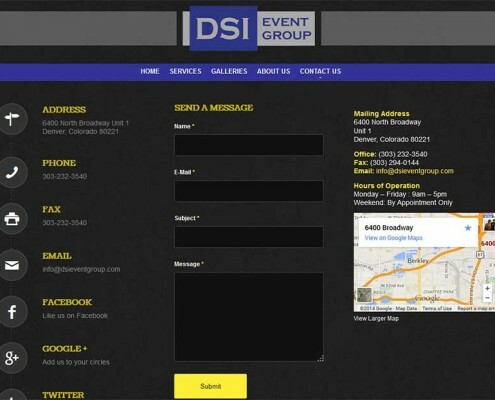 Atomic6 wanted to provide DSI with a responsive site that showed the fast growth of the company the past few years. 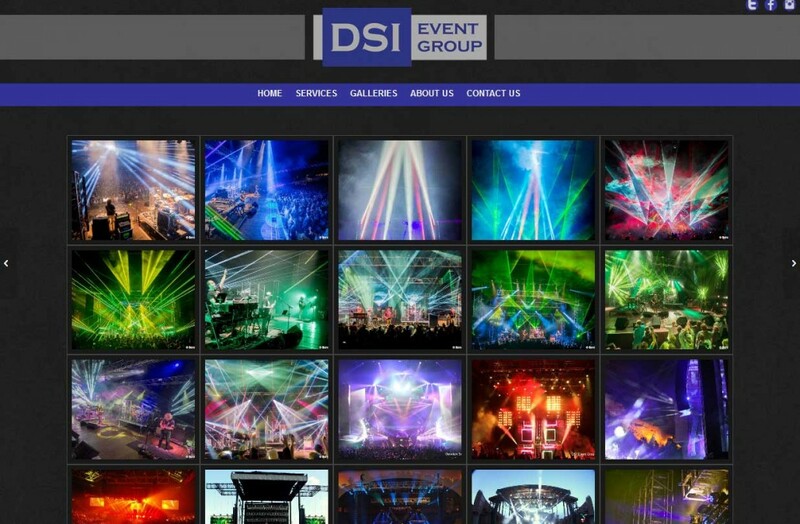 Using engaging photography and imagery we were able to convey DSI’s talents. 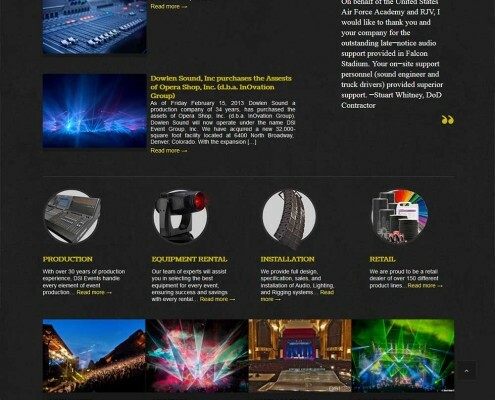 After site production was complete, DSI has managed the site without any help from Atomic6, helping to keep their costs down.